One of the great things about woodworking is the people you get to befriend, and I say this as someone who is not by natural inclination a “people person.” As the son of a pastor I became reasonably adept at social interaction, but I am entirely comfortable being alone, perhaps too much so. So many of our cohort are truly gifted thinkers, seers, and solvers. Many are even pretty good company! One terrific fellow and gifted designer and maker who fits this description is Jonathan Szczepanski, who lives and works in the Maryland suburbs of DC. Jonathan is one of the moving forces behind the SAPFM Chesapeake Chapter, and at yesterday’s meeting he presented Michele and me with these t-shirts of his design. 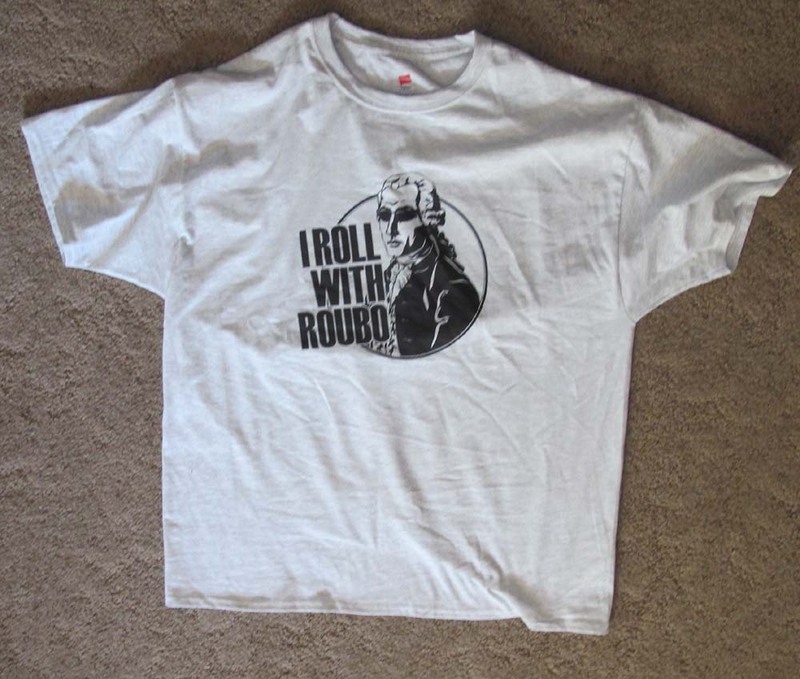 If you find them as amusing as I do and want to “Roll with Roubo”, Jonathan has them posted for availability at CafePress. It has become one of the treasures of my wardrobe, I tell you. 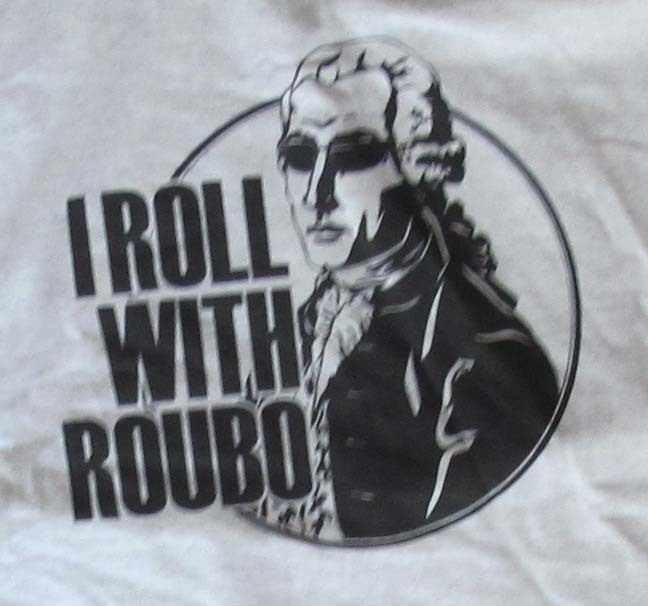 Fortunately, like Jonathan’s Roubo I am a total hipster. Your not too bad yourself Don.